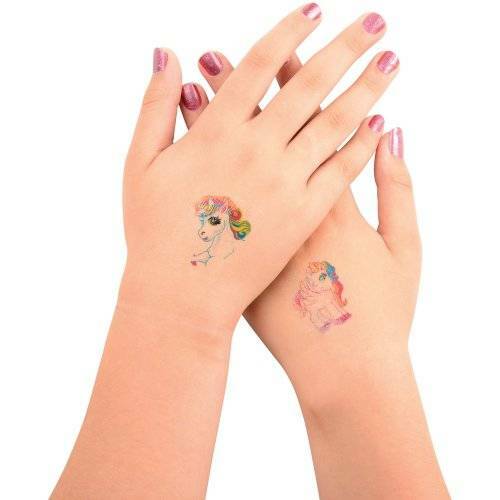 Channel your inner fantastical beast and "be a unicorn" with these themed tattoos! 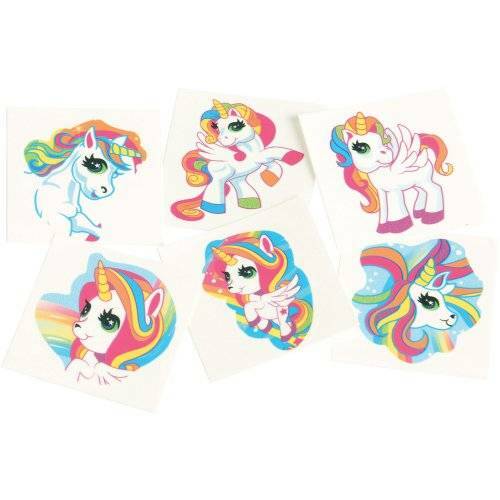 Brightly colored with 6 unique unicorn designs, these temporary tattoos easily apply with water and wash off just as easy. 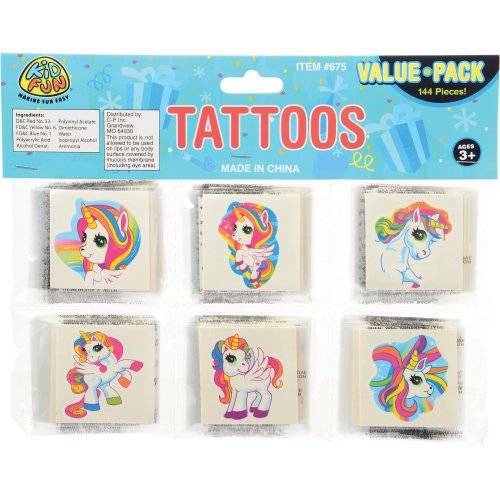 A must-have party favor for any event, encourage your young guests' imaginations and creativity with a little bit of tattoo "magic"!